Given the order of the alphabet, it came at no surprise that the name of the successor to Android Oreo was going start with the letter P. Until now it has simply been referred to as Android P, but now Google may have given away what the full name will be. Over on Instagram, Google shared a series of images which were designed to be screengrabbed and used as wallpapers -- something which has become common on Instagram. One of the wallpapers features popsicles, leading to speculation that Android P will in fact be called Android Popsicle. In addition to the alphabetical naming convention, Android has always been named after desserts or confectionary. 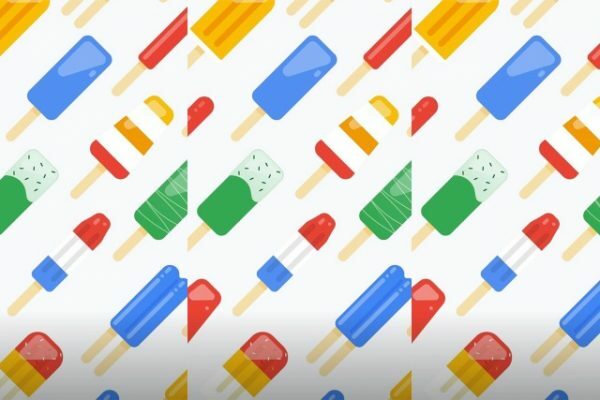 Because of this, the fact that Google shared an Android wallpaper depicting a series of popsicles (see above) -- which neatly meets both criteria -- has led to the belief that Android Popsicle is due to be launched later this year. Of course, Google has not confirmed this name and -- as many have suggested -- it is entirely possible that the company is trolling us... We could also be reading far too much into an otherwise innocuous image! It's not too long until we should know the name for sure. Google is due to release another new Developer Preview of the mobile operating system, and the final release is scheduled for Q3 of this year. By then, the name will definitely have been nailed down!